After new year is the time to refreshing your wardrobe, the new trend is coming now girls! Some of those trends are allow to this year, you don’t need to clear it all. To help you tackle 2017 in style, we’ve rounded up the seven clothing and accessory items you need to breathe new life into your outfits. Let’s see which item should be in your wardrobe. Forget your cotton trench and try a new one in luxurious style, supple leather. A neutral hue like camel or black will ensure you’ll wear it for years to come — it just gets better with age! Layer it over a pleated maxi skirt for an outfit that’s street-style-approved. Keep your black boots away, in this year we have something a little more vibrant. A cornflower blue suede pair with lace-up detailing will pop against black and white separates. Try them with corduroy culottes and a fur-accented coat for a play on textures. Don’t throw your sweater stash away, adding a neutral one with unique design details into the mix. Features like exaggerated sleeves and an interesting obi-style waist sash feel current but also wearable when anchored by a classic camel shade. Dress up the knit with a pair of clean, architectural earrings for a sophisticated effect. One of the biggest trend in 2016 that allowed to come in 2017 is velvet. 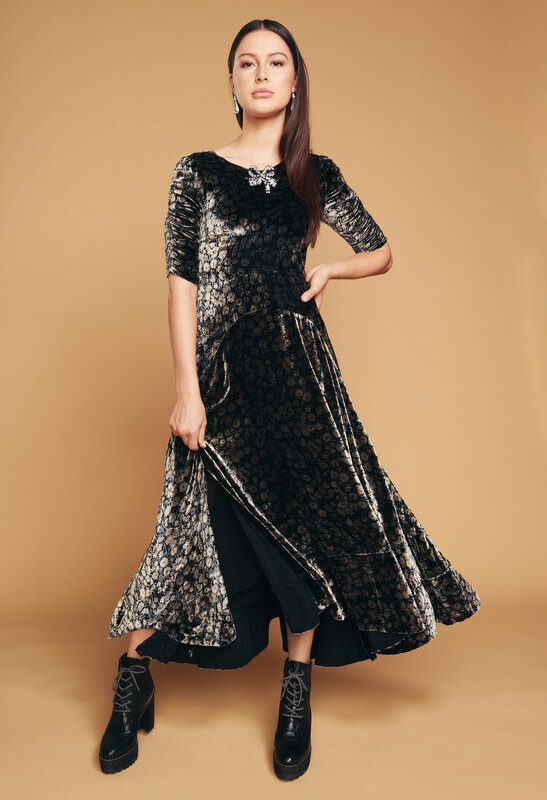 Go bigger and bolder for this year and opt for a dress that’s velvet and patterned. Trying a dark color with a sweet and subtle floral motif is playful and unexpected. Play up the dark romance vibe with a vintage crystal brooch and laced ankle boots. This year is the year of all statement details. Opt for a sophisticated silhouette, like a pair of neutral pants featuring an exaggerated flare. They’ll translate seamlessly between work and play. Balance the femininity and over-the-top design of the pants with a classic, tailored menswear shirt.